For country bumpkins (read: small-town-turned-small-city gals who like to be in bed by 10pm on a weeknight) London is another world. The New York of England, my big sister's best friend, a pre-teen sleepover – this place is exciting. While living in London is unimaginable, a day trip is thrilling. And spent with one of my best friends, it's even better. The best part is that we got to go on our own and do whatever the heck we wanted because we are grown ups. Grown ups! Did you realise when you became one? Because I didn't, but one day I was, and whatever all those articles you read on Vice say, it's not all bad. In fact, it's mostly really great. My favourite part of being a grown up is getting paid a load of money* at the end of each month for going to an office near my house and doing some writing and chatting to nice people and drinking coffee and eating sweets. Imagine telling your teenage self all about your life in ten years time. If that doesn't make you love being a grown up I don't know what will. 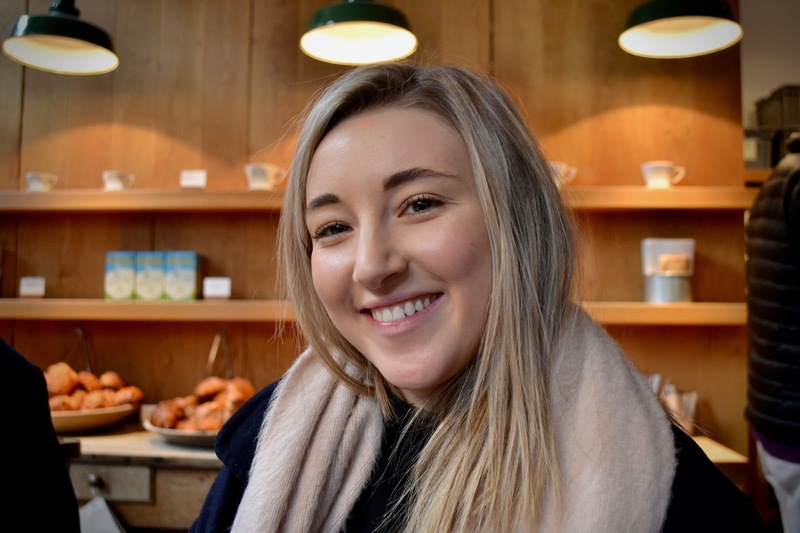 I like to spend my money on experiences, rather than things, so that's what Emily and I did, and with said payday cash we made Monmouth our first stop in London. This place is a fave of mine and Em's. Monmouth is always busy, but the staff keep smiling, tapping away at coffee grinders and steaming gold-cap milk, their chunky knits and round glasses only adding to the wholesome aesthetic of the place. There's a blend of the day here and you get what you're given - it's always delicious. 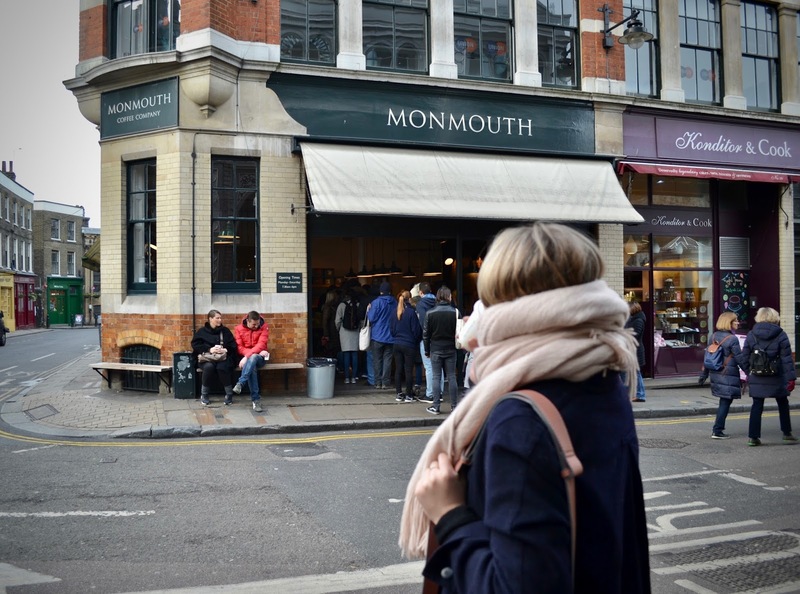 Check out my full review of Monmouth here. Next stop: across the road to Borough Market - the reason for this trip, really. Colour, character and wafts of various cuisines are enough to lure you in and keep you there for the day. 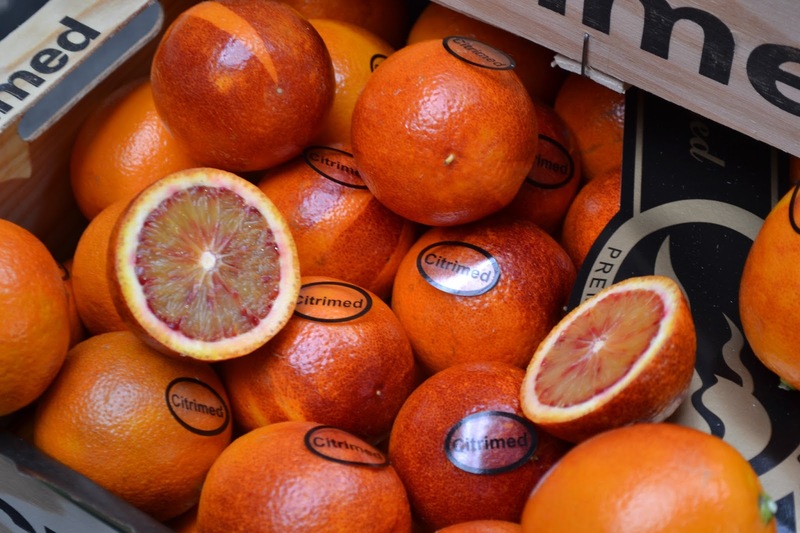 Blood oranges come by the boxful and the sheer variety of mushrooms, lettuce and beetroot stirs a dream of doing my weekly fruit and veg shop here. As it was Veganuary I was on the hunt for a vegan-friendly breakfast. 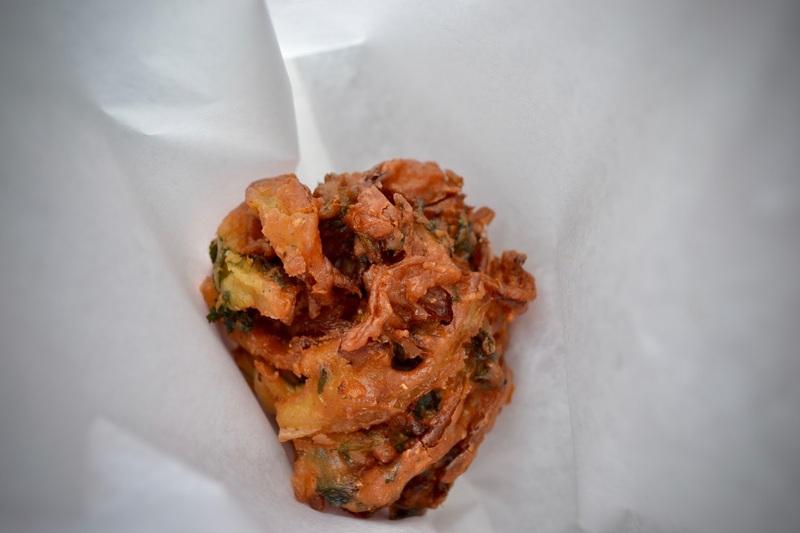 I found a place making onion bhajis and I wish I had made a note of the name of it because it was the BEST one I have ever had. The perfect balance of flavour and spice, although it could have been crispier. I have a question: Why hasn't anywhere outside of the capital made cupcakes a staple yet? It's 2018 for goodness sake! 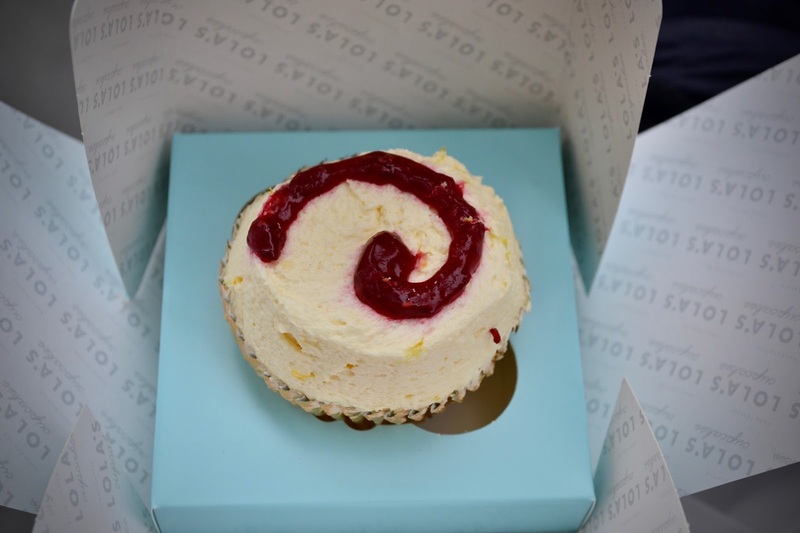 I can't go to London every time I want a Lola's/Crumbs and Doilies/Hummingbird Bakery cupcake. Do they exist in Bristol and I'm just not aware of them? 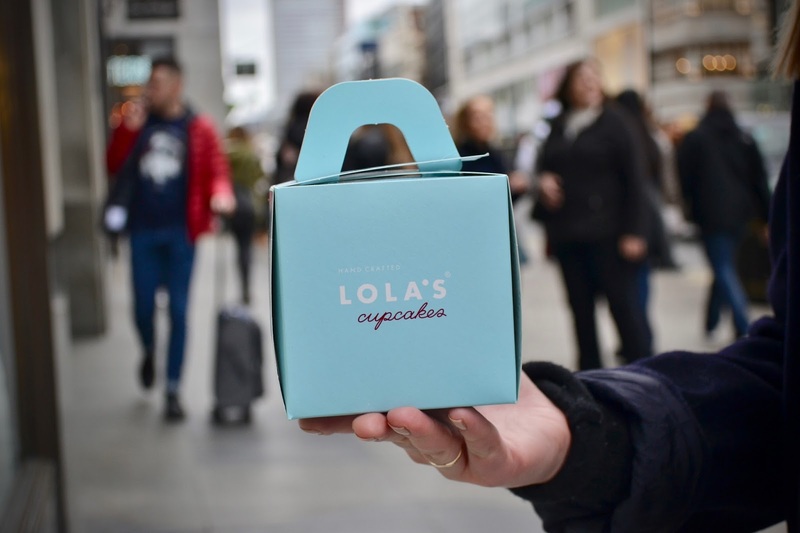 Seeing as there's a Lola's on every street corner in London I'm thinking they'd do just as well here. I got a vegan raspberry and lemon cupcake in the Oxford St Topshop branch, walked around with it all day and only ate it when I got back to Bristol, in a pub in Stokes Croft waiting for a Muncle gig to start. It was the most delicious vegan dinner I ate all month. For lunch Em and I booked a table at Pizza East in Shoreditch. Not too fancy, not too laid back - think a mix of families and friends catching up pizza you can eat with your hands or cutlery - no judging. 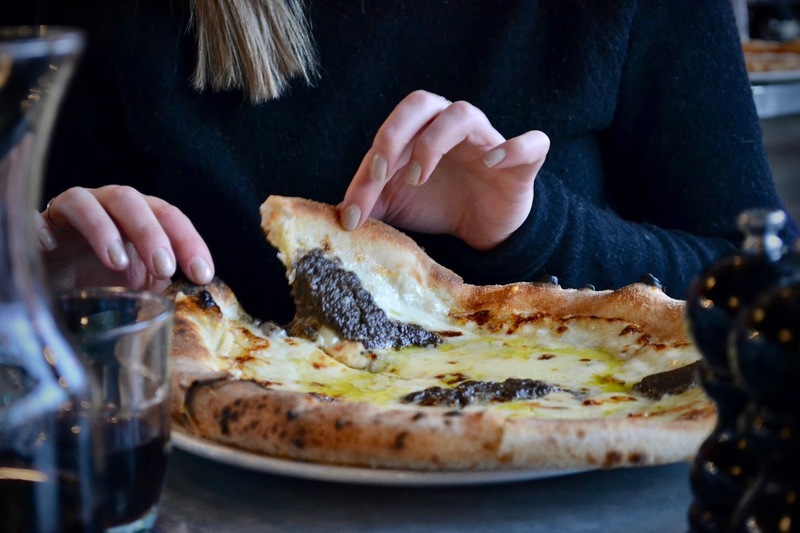 The space is undeniably Shoreditch with bare-brick walls and exposed pipework, but it suits the place and the kind of food on offer: unpretentious but spot on flavours, and the pizza crust is excellent on its own, which is always a good sign. 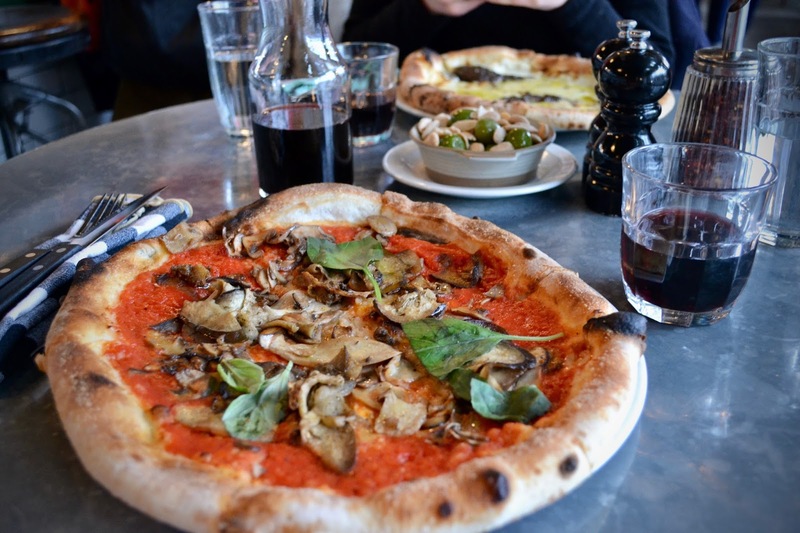 Em ordered a truffle pizza and I had a mushroom and aubergine pizza with no cheese – the waiter was happy to guide me through the menu to find something vegan. 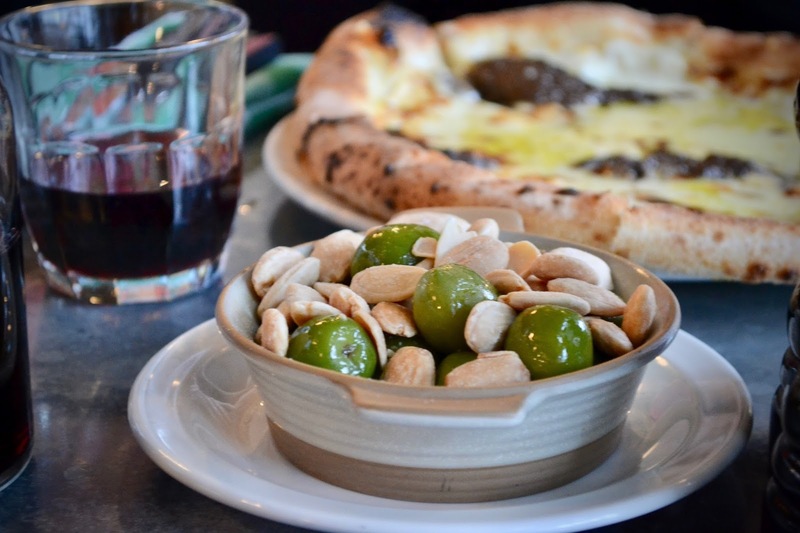 Our olives and almonds were forgotten but we got them in the end and they weren't charged to our bill, so for a carafe of red and two pizzas we paid just £22 each, including service charge. 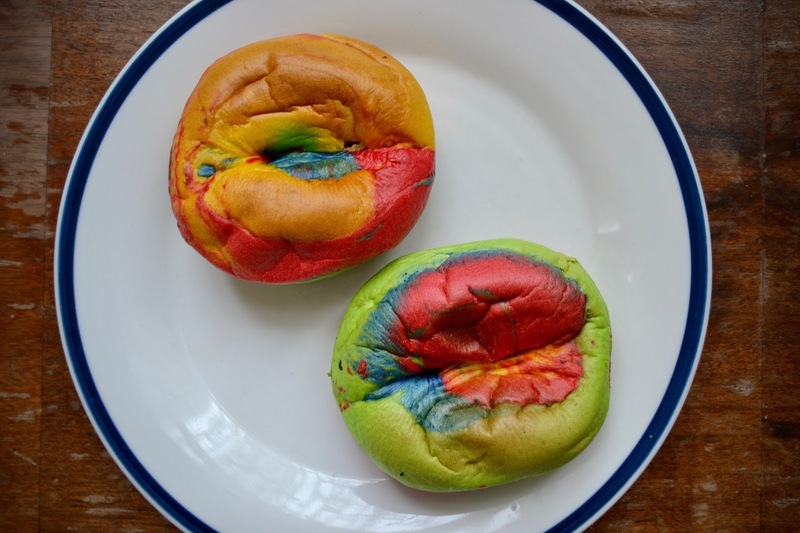 Say what you want about Shoreditch but the 60p rainbow bagels from Brick Lane's Beigel Shop are 100%. 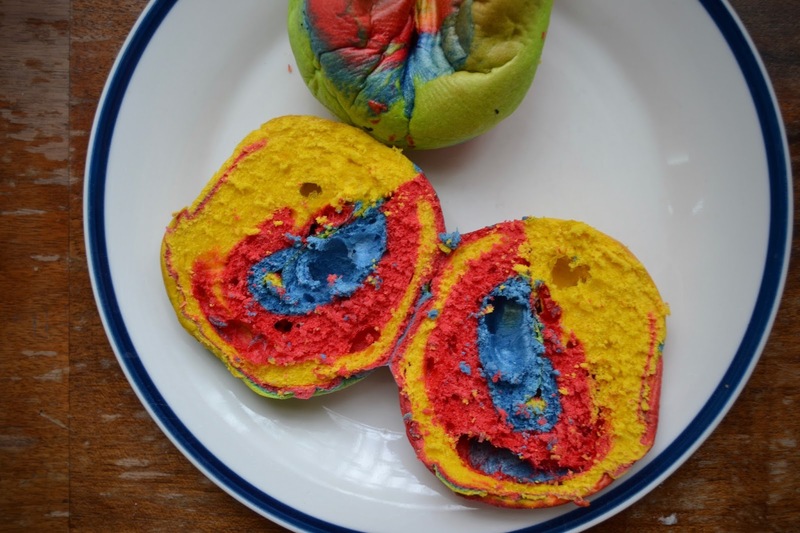 I bought two to take home, froze one for one of an inevitable late-for-work breakfast – and subsequently got accused of eating plasticine by colleagues while chowing down on my peanut butter and jam filled bagel. I may be an independent, fully functioning adult but my inner five year old lives on. My motto in life: embrace both.